Backwards Crochet will be the focus of this meeting. 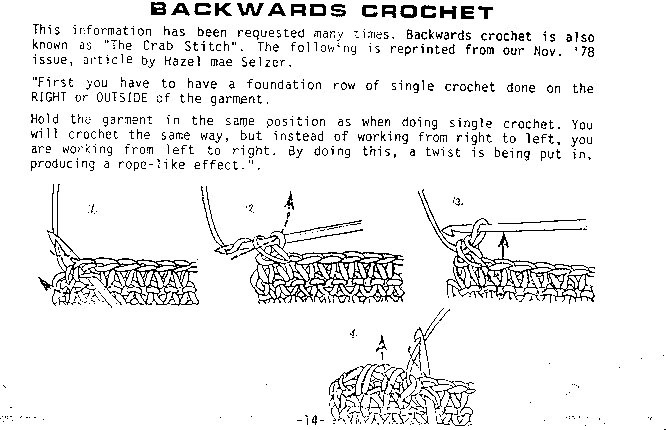 Another term for this technique is Crab Stitch. Here is a brief instruction for you to print out and try. We will be trying out many variations of this technique too.